The Potter’s House Christian Church Enfield started on 29th of March 2009 and in that time has grown to establish a regular core of believers and is making a tangible impact on the community. Pastor Laty & Ogechi Sanusi were planted from their mother church in Waltham Forest (www.pottershouse.co.uk), London out of the 2008 UK Bible Conference. 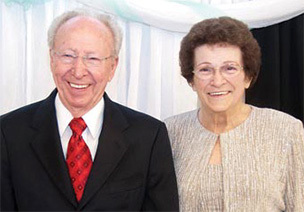 The Potter’s House Fellowship of churches started back in 1970 in Prescott, Arizona when Pastor Wayman and Nelda Mitchell took over a little church totalling 27 people and faithful preached the word of God and believed that God would do what He said He would do. Today we have over 2,100 churches worldwide. “Look what the Lord has done! !” Ps Mitchell. Wayman O Mitchell is the founder of Christian Fellowship Ministries (www.worldcfm.com) which now comprises of churches in over 110 Nations. He has been a born again Christian since 1953, baptized in the Holy Ghost since 1954 and a Pentecostal Preacher since 1960. Pr Mitchell conducts healing crusades, for which he has been likened to a modern day Smith Wigglesworth. Pastor Mitchell has been Pastor in Canada, many churches in the United States as well as Perth Western Australia where he was Senior Pastor for 3 years. The Potter’s House Church in Prescott Az USA where Wayman Mitchell is now the Pastor stems from an amazing revival that occurred in that church in the early 70’s.